When it comes to aquascaping styles, all of the styles are known to have specific traits and more important, follow specific rules. Ultimately for many of us it is an art form, one that evolves and matures over time, but when we put our plants and hardscape in place many of us feel like a painter putting ink to canvas. There is a style though that it's main characteristic is that, it leaves aside all those conventions and just focus on growing plants inside of an aquarium. As many of you may have guessed I am talking about the jungle style. If you belong to the old guard of hobbyists, and were around before the nature aquarium became widespread, this style is definitely one you may know quite well. 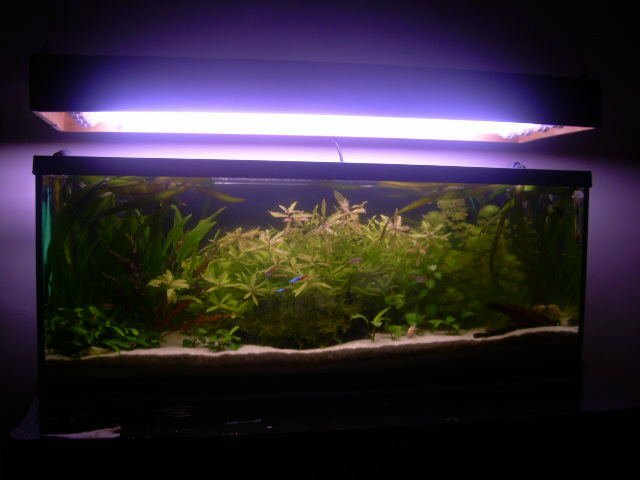 I myself started only in 2004, when nature aquarium was already taking over, still the jungle style was the first style I ever tried. I now know that they were jungle style scapes, however at that particular time I don't think I even had a clue what aquascaping was. I just wanted to grow some plants inside my tank. This style is less artistic in nature, there is less or no hardscape used, and is mostly characterised by the grouping of plants together and just let them grow until they completely take over the tank. There is no planning or design intention on the part of the hobbyist, so shaping of plants is non-existent and trimmings tend to be only done when the they are overgrown. The use of tall large leaf shaped plants like amazon swords, jungle Val's and microsorums are widespread, but a mix of fast growing stems is also common . On the other hand carpet plants are rarely used, I don't think there is a particular reason for this, apart from the fact that this style is older and predates their widespread use. Also another reason may be that in a jungle it's hard to grow carpets in the shade of the larger plants. Plants like Hemianthus Cuba, hair grass, glossostigma or Monte Carlo are rare,but plants like dwarf sag and Echinodorus tenellus are common, however due to the wild growth they look more like a bush rather than a nicely kept carpet. Floating plants is another thing we normally see in these tanks, they help complete that deep in the jungle look and feel by providing some shade. Like I said above most jungle styles tend to not use hardscape, and when they do, it generally is wood, rock arrangements are rare. When I say this I am talking about the true jungle style aquariums as seen 10 or more years ago. Lately there's been a trend of jungle styles that are more planned, organised and with more heavy use of hardscape. I may be wrong but it is my personal opinion that those are not true jungles, and that they fall more to the nature aquarium category. In this style plants fight for light and nutrients, being very common for them to invade each others territories, which in turn gives the tank a very wild and natural look. Great for fish as they love swimming and hiding amongst the large bushes of plants, I believe this also increases their feeling of safety. A tank like this will require good lighting, good substrate, liquid fertilizers and co2. This is due to the large amounts of plant mass and the use of heavy root feeders, however in my personal experience I found that choosing easy fast growing stems, good substrate and good light will work as well without co2. 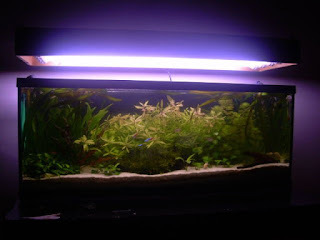 The following tank was my first planted aquarium, it was a 120 litre, the light was DIY 120 watts T8 unit and the co2 was a yeast system that to be honest I kept forgetting to change. The light was quite high, as the tank was only 30 cm tall, the substrate was worm castings capped with sand. while not much known these days, it was used a lot in Portugal and Brazil in the early 2000 as a cheap alternative, it is highly nutritious. This thing kept growing non-stop for three years with no need for liquid fertilizers. Honestly back then I had no idea what that was. I grew this jungle out of a few cuttings, when I say this I mean it. In day one this tank was completely empty, yet it grew into a jungle in about a month and for 3 years I had to trim this heavily atleast once a week. I had no artistic input, I didn't even know how to trim, most of it was learned as I was going along. 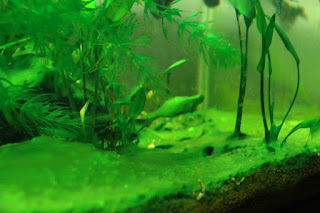 The plants were Amazon swords, cabomba, hygrophila polysperma, cryptocoryne wendii brown, giant jungle val, anubias nana and java moss. The jungle Val's and the hygrophila especially grew non-stop. As you can see these were all easy to grow plants and most of them heavy root feeders that took good advantage of the nutritious worm castings. The funny thing is I had no clue of what I was doing, the plants were not chosen, I used what I could find, I didn't have enough so I just put bits here and there. Eventually they took over the tank. My experience says that this style is an easy style for someone just looking to have a nice looking tank in the living room. There are no rules or restraints, just let the plants grow. Also it's probably the best style for a beginner that just wants to learn how to grow some plants. Ultimately I don't expect this article to convert anyone to this style, the rise of the nature aquarium as pretty much doomed this style to a slow decline. Even the ones that use it, generally say they are actually doing nature aquariums. 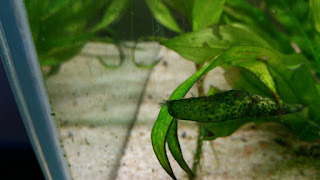 But in this run of articles talking about the different styles I thought it was really important to talk about the style that introduced me to the planted aquarium hobby and also pay the respects due to one of the oldest in the hobby. If this somehow makes you think about giving this style a try, the better.